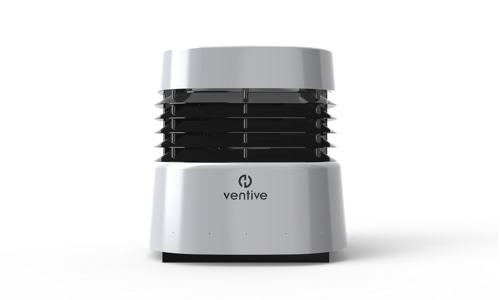 Ventive designs natural ventilation systems with the intelligence to adapt to any environment. Is a way of supplying fresh air to a room using passive forces, like wind speed and buoyancy. It is carbon neutral, cheap to operate and easy to install and maintain. That’s why the new BB101 guidance document recommends using natural ventilation where possible. 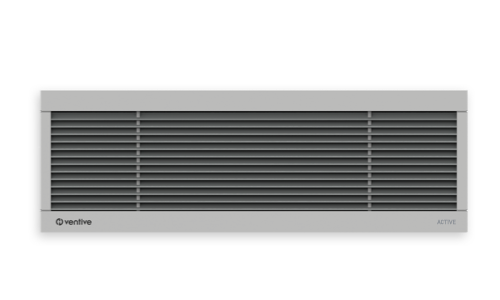 Combines passive ventilation, heat recovery and system intelligence to deliver 100% fresh air and comfortable temperatures, whatever the weather. The most efficient wall ventilation and comfort heating & cooling system in the UK. Enhanced PVHR with an innovative heat pump to deliver fresh air and comfort, whatever the weather. 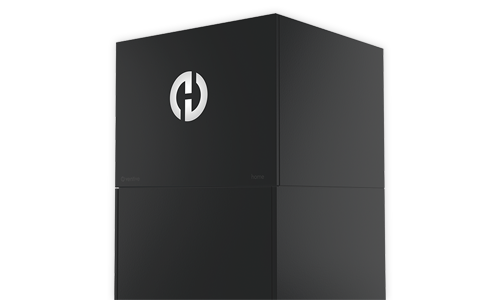 An integrated home environment management solution, providing ventilation, hot water and comfort; using exhaust air as a source of energy, combined with a high efficiency heat pump and intelligent, connected controls. 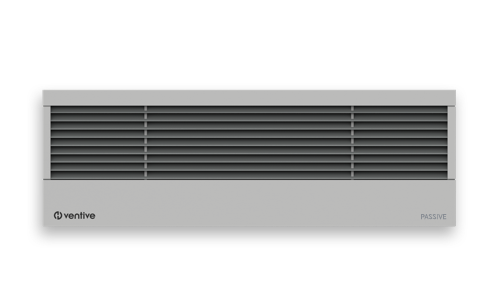 A sophisticated passive ventilation system that fits inside of a single wall-mounted unit. Intelligent air flows provide free heat recovery with fresh air. 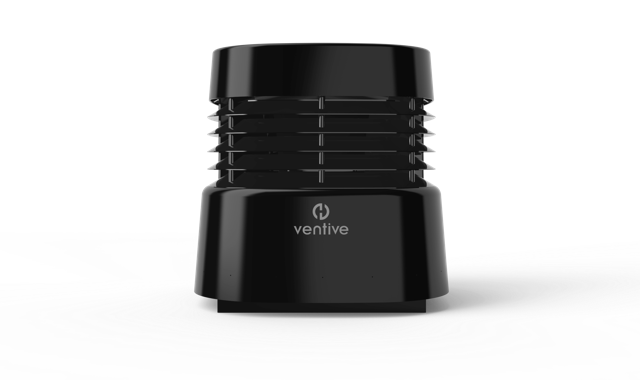 Ventive designs and manufactures the most innovative natural ventilation systems in the UK. Learn how we help architects and consultants build schools that reduce carbon emissions and running costs, simplifying the task of compliance with Building Regulations (Part L). What is Passive Ventilation with Heat Recovery?